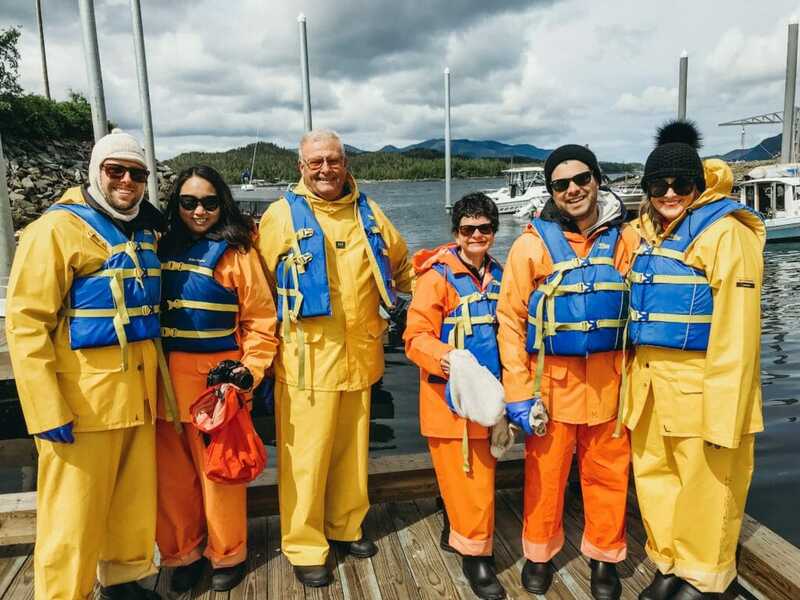 This time last month, my family was sailing through the Inside Passage of Alaska on the Celebrity Solstice. I’ve finally been able to catch my breath after a crazy few weeks and put my thoughts and photos together for recaps of the trip. 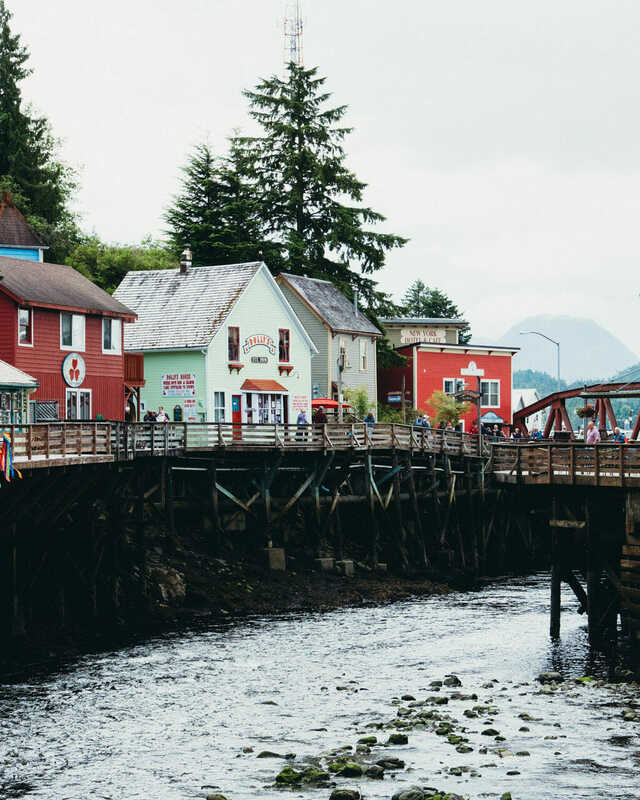 The first stop of our incredible cruise was Ketchikan. 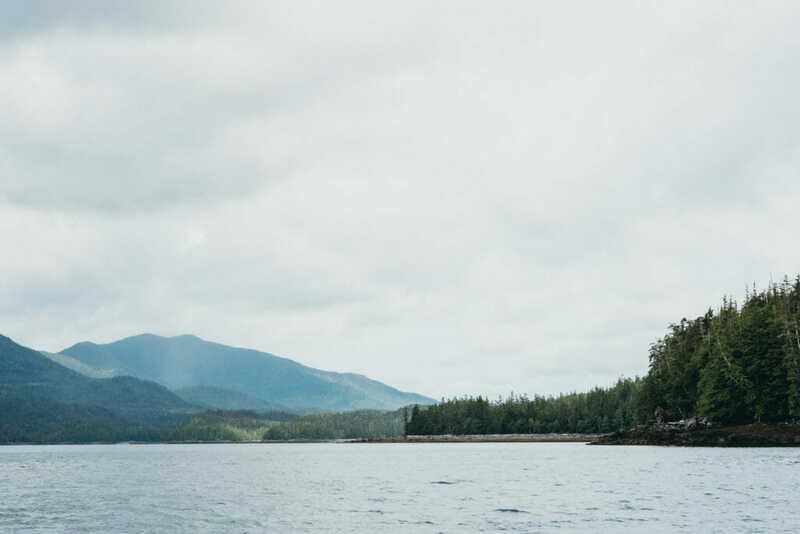 Alaska’s “First City” is known for its salmon, scenery, and totem pole sculptures. 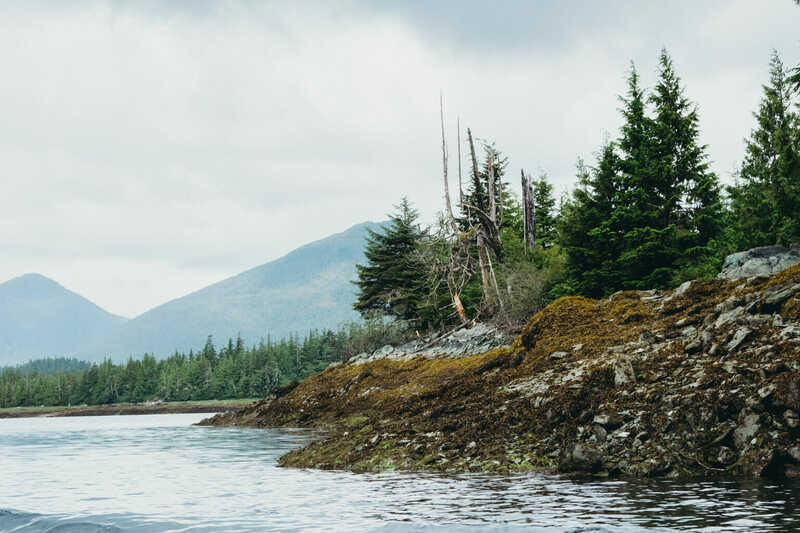 My parents booked reservations with Ketchikan Outdoors for the Alaska Coastal Expedition. 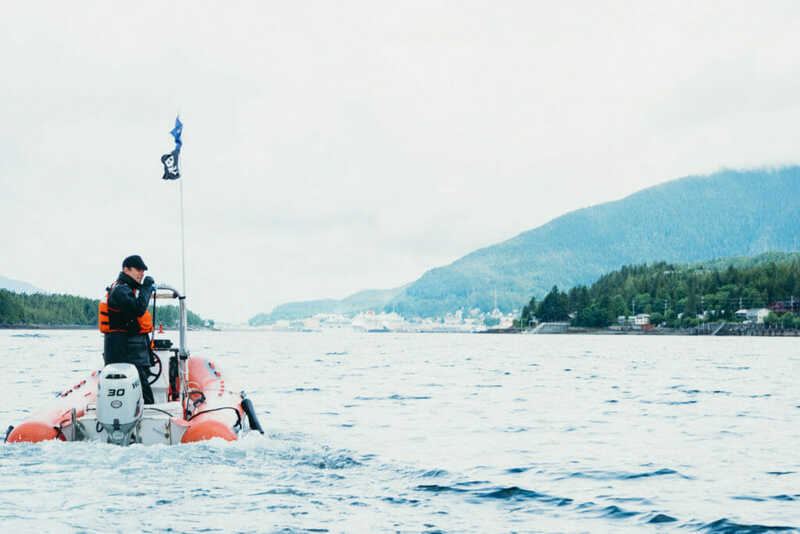 The 2.5 hour excursion takes you along the coast on an inflatable zodiac boat. It gives you close views of the lush scenery and native wildlife. Four people fit in each boat, and guests over 25 are able to drive. The guide drove his own zodiac and gave us directional signals along the way. 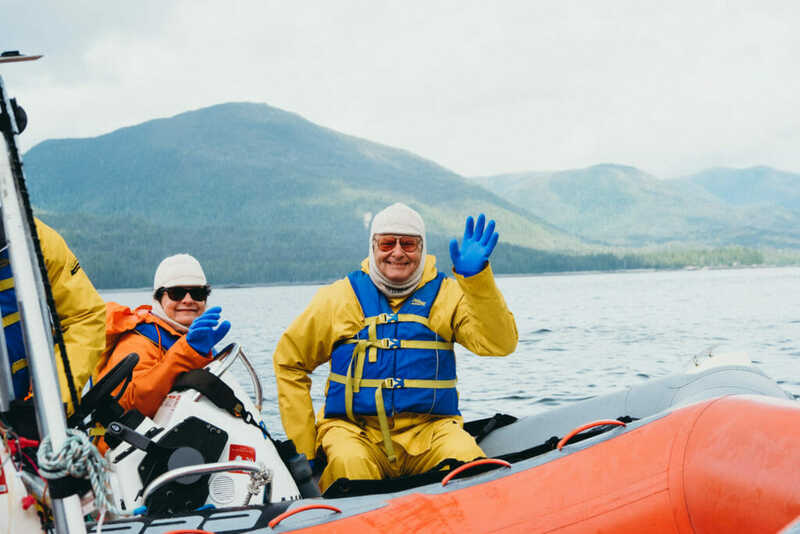 The tour company provides all the gear needed for the water and weather. It was quite a process equipping ourselves, but made for fun photos! 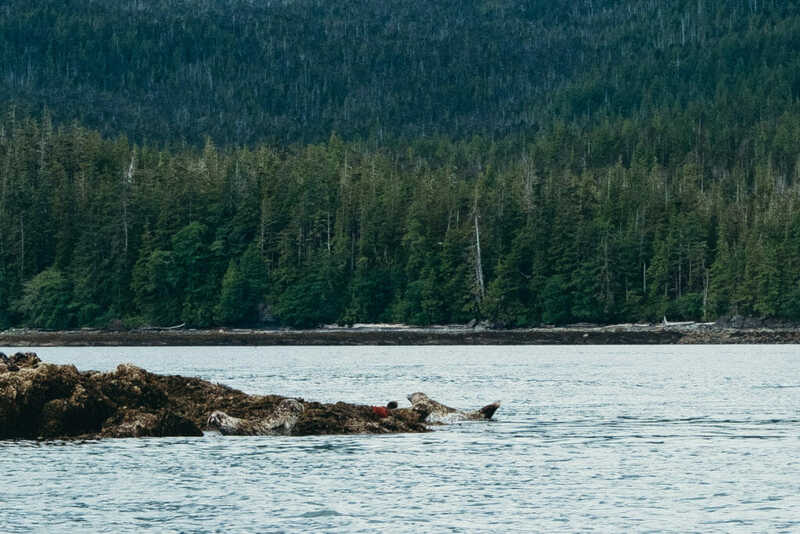 The zodiac allowed us to get up close and personal with the inside passage and its wildlife. 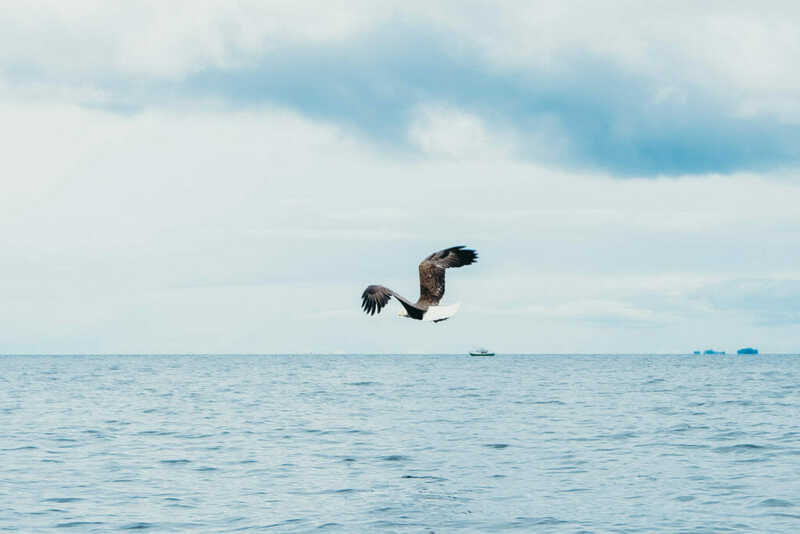 Our guide tossed a fish in front of our boats to lure a bald eagle out of the trees. 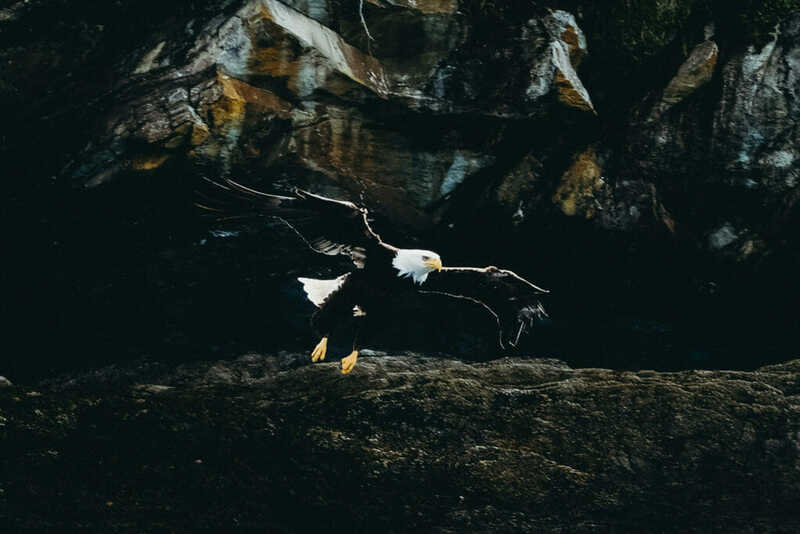 It swooped down for the perfect photograph, and was probably one of my favorite Alaskan memories. Caught a glimpse of a dolphin and also passed some adorable harbor seals splashing around on a little island. After our excursion ended, we spent some time exploring the town. 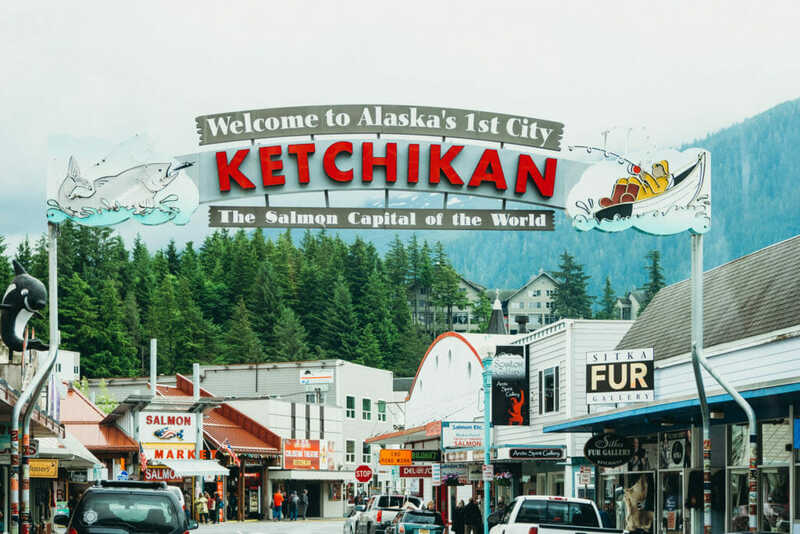 The Creek Street district was bustling with tourists in search of the perfect souvenir (or salmon snack). Every historic building looked like it had a rich story to tell. 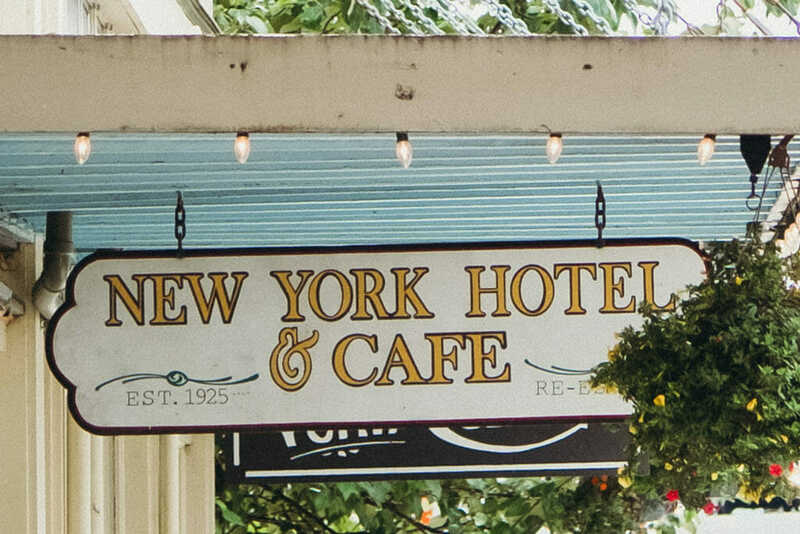 The New York Hotel & Cafe, for instance, was built by a Japanese entrepreneur during the gold rush. The owners were interned during World War II, but neighbors kept the business running and saved the profits for them after their release. 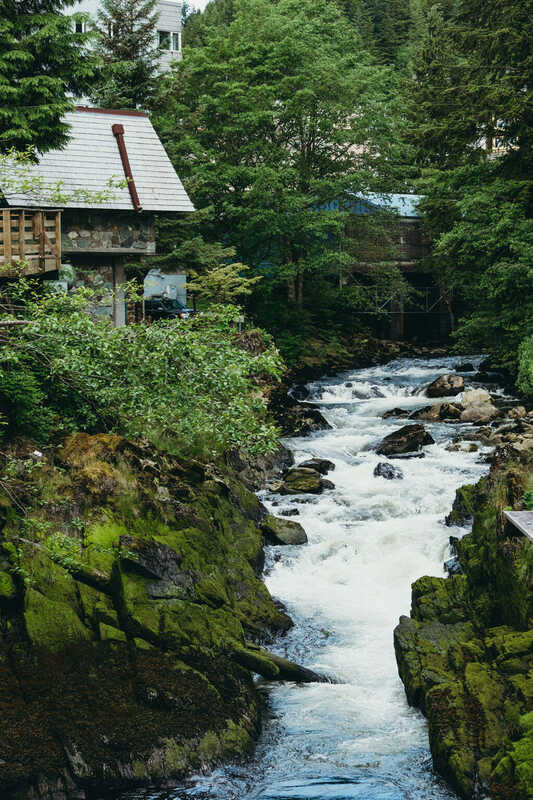 I like to imagine that the same spirit of kindness is still embodied in today’s Ketchikan residents.